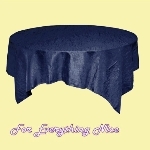 Taffeta Crinkle Table Overlay, for attractive trimmings to any small or large wedding or any special occasion or event. Decorate the table cloths with these beautiful taffeta crinkle overlays. These elegant overlays add elegance beautifully for all your reception and ceremony decorating needs. These overlays are easy to use, high quality materials and add that special touch of colour and class to your tables. 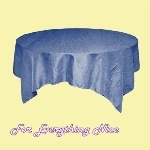 The table cloths you see in the photograph are not included with the table overlays and are a separate item. Please note sometimes that the colours in the photos can appear a little less vibrant out than with the real table overlay. 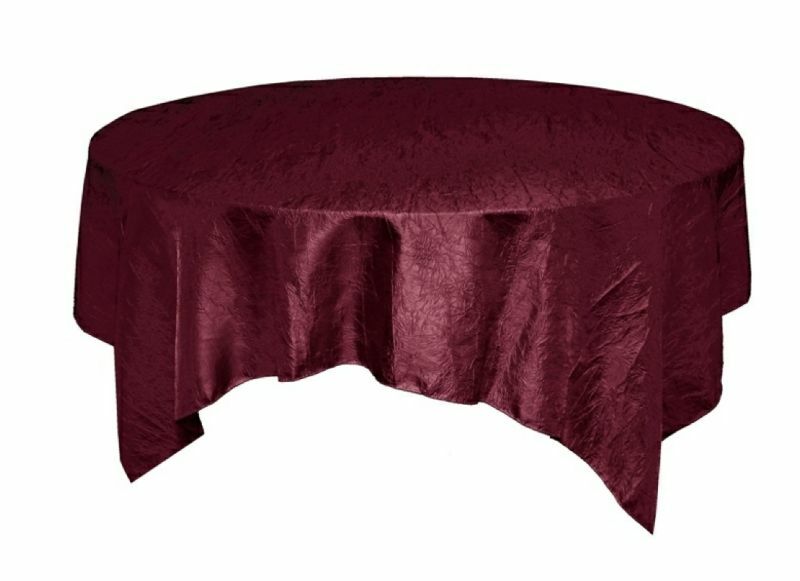 Please note that because of the nature of the taffeta fabric can make these tablecloths heavy. Especially when there is more than one. This item is sent from the United States. After placing your order, please allow sufficient time for your order to arrive. In some cases, more popular Colours and some more rarer ones run out of stock very quickly - in these instances - please allow extra time for your order. These items are also available for hire - please enquire about pricing, terms and conditions and delivery details. Australia customers only.